Nick Galotti has been a member of FIRST since 1997. He started as a student on the Technonuts in Berlin, CT. When he went to college at WPI he joined Gompei and the HERD. 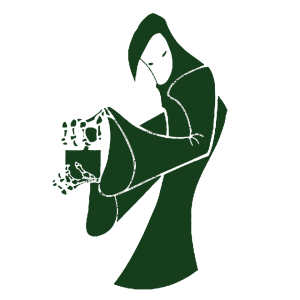 In 2006 he founded the Green Reapers and has grown the team to be successful team they are today. Outside of robotics Nick is a web developer and works at MathWorks working on their website. Nick also supports the Berlin Fair in Connecticut by developing their website and also writing the software that is used to manage all the exhibits at the fair. Steve Hyer founded the FIRST National Advocacy Conference in 2013. He has served as a mentor to Hall of Fame Team FRC 27. He has judged FLL, FRC, and currently serves as a Judge Advisor for FRC. Steve graduated from the University of Michigan and is currently the Secretary of the Clarkston Community Schools Board of Education and he serves on the Michigan Association of School Boards Board of Directors. Steve is President and Founder of a website application development company, IGD Solutions Corporation. Steve is very passionate about Advocacy and has led over 35 advocacy trips to Washington, DC for school board members, parents, administrators, and students over the last 15 years. Starting his career as a research scientist, first at MIT Lincoln Laboratory and then at United Technologies Research Center (UTRC), Bossi was part of an advanced project at UTRC that was acquired by JDS Uniphase (JDSU). Bossi’s role grew within JDSU, and he subsequently served as president of JDSU’s Active Components and Transmission Products groups. In 2005, he joined Technology Ventures Partners (TVP). In addition to being a General Partner with this venture firm, Bossi served as CEO of two portfolio companies, namely, Aegis Lightwave and Inlet Technologies, positioning the latter for a beneficial acquisition by Cisco. Representative Dan Donahue is the State Representative of the 16th Worcester District. Rep. Donahue attended the College of the Holy Cross (also in his district) and was employed as an aide to Worcester Mayor, Joe Petty, after college. First elected during a special election in 2013 and re-elected to his first full term in 2014, Representative Donahue is committed to improving the quality of life for residents of Worcester. Representative Donahue currently serves as Vice Chair on the House Committee on Redistricting and also serves on the following committees: the Joint Committee on Health Care Financing, Joint Committee on Transportation, House Committee on Bonding, as well as the House Committee on Capital Expenditures and State Assets. Charles Rothenberger is a Senior Lobbyist with Rome Smith & Lutz, where his practice focuses on education, energy, the environment, and housing. Prior to joining the firm, he spent ten years developing policy and litigating environmental, energy, and land development use issues. He has lobbied extensively before the CT General Assembly, state agencies, municipal boards and commissions. Charles is a 2001 honors graduate of the University Of Connecticut School Of Law, where he edited the Connecticut Journal of International Law. He has a master’s degree in public policy from Trinity College and a bachelor’s in history from the University of Connecticut. He has been admitted to the Connecticut, New York and Massachusetts bars and served as a law clerk to the Hon. Thomas G. West and the Hon. Joseph H. Pellegrino at the Connecticut Appellate Court. Tracy O’Connell Novick is a Field Director with the Massachusetts Association of School Committees. A former member of the Worcester School Committee, she manages social media for MASC; she also focuses particularly on school finance policy, currently studying to be certified as a school business official. Tracy is a former Massachusetts public school teacher, who resides with her family in Worcester, where her children attend the Worcester Public Schools. following committees: the Joint Committee on Health Care Financing, Joint Committee on Transportation, House Committee on Bonding, as well as the House Committee on Capital Expenditures and State Assets.